This month I started a thing. 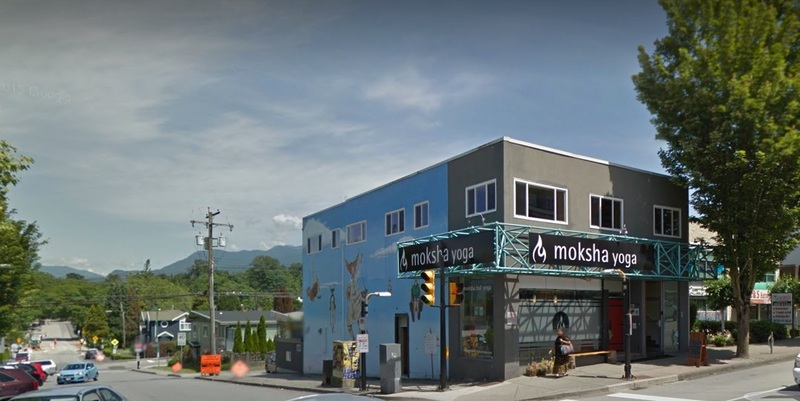 I bought the introductory month membership at Moksha Yoga Burnaby. Now just because I'm a fitness instructor, it doesn't mean I'm any better at making use of the fitness things that I spend my money on. I've bought multiple gym memberships where I've gone once or twice, I have a few fitness dvds that have been viewed maybe 3 times (Jillian Michaels 30 Day Shred, I'm looking at you!) and equipment that sits in the back of my closet. But this time I decided to commit to my purchase. Let's journey way back for a second into my first experience with hot yoga. It was around 2009, and the first (I think) hot yoga studio in Saskatoon, SK - Hot Yoga On 20th - had just opened. I ran into a friend I hadn't seen in a while and we talked about it, and he said "we should go sometime!" I agreed, and suggested the following week. He was a bit caught off guard that his "sometime" became "next week", but he was game, and we bought our intro passes. I don't remember much of the first 2 or 3 classes I took there, but a couple memories stand out. The first being my friend whispering "OMG I'm going to die" as we walked into the 40 degree C room. Yup, when they say HOT yoga, they're not messing around. 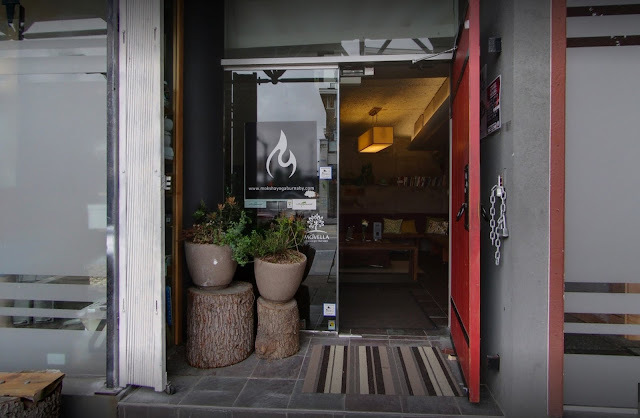 Most purpose-built hot yoga studios are somewhere between 36-40C. The second thing I remember is during the class, as I was holding some standing pose (eagle, maybe...?) was "This is the absolute hardest I have ever worked while standing still" as the sweat poured off me and onto my mat. I had a good few classes, but sadly I can't say it was something that stuck. Why? Because life. I was still in school, didn't own a car in a car-dependent city, and I got caught up with all the other things I was doing. Fast forward to the present, about 8 years later, I found myself lying on my back, in a hot yoga studio next to another friend. This time in Burnaby, BC. This time I ended up here because of a free pass I got from attending Yoga on Tap at a local brewery. I know what you're thinking "what is this magical combination of beer and yoga you speak of?" Well, at Steamworks Brewery every few months, an instructor from Moksha Burnaby comes in to lead a yoga class, while you get to enjoy a flight of beer! Say Whaaaaaaa! Amazing, I know. And to top it off, the $20 registration fee goes to charity. If you're a lower mainland local, and this sounds like something you're interested in, they post when the next event is on their Facebook page. So, back to my story. After attending a class at the Moksha studio in Burnaby, I decided to get the one month introductory pass, and commit to going as often as I can in that month. Things that I'm hoping to achieve during my month at Moksha: progress and patience. I've never really committed myself to my yoga practice, and I hope that by committing for a month, I will see some progress. Not just in flexibility (although that would be nice), progress with my strength, flow, comfort in my own body, drinking more water, doing a "thing," and being part of a community. Patience is a little bit more straightforward. Patience with myself, my body and mind. Letting myself be bad at things. Somedays hating it and knowing that that's okay too. I'll update a few times throughout the month about how often I've gone, which classes I've tried, what I've thought, and how I'm feeling about the experience. 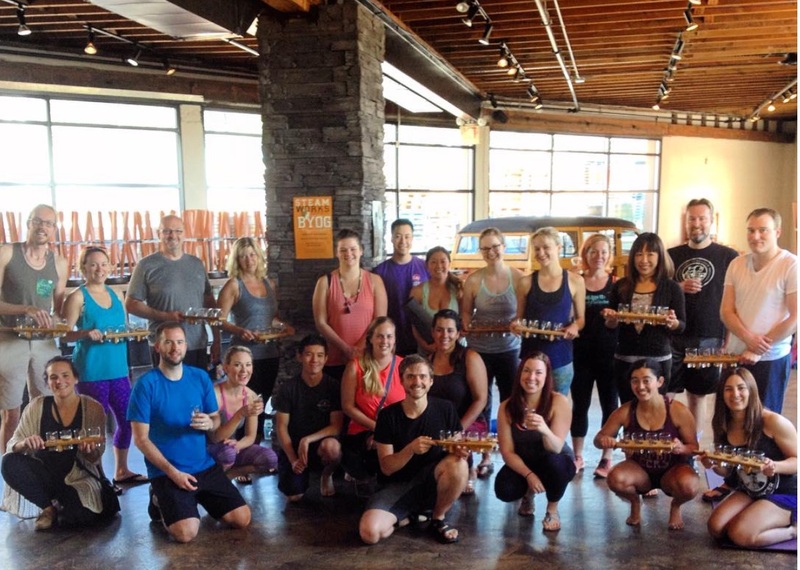 If trying hot yoga is something you might like to try, here would be my tips for newbies. I know this one sounds obvious, but you are going to sweat. A lot. Even if you're not generally a sweater. Drink water all day before you go, drink water during class, drink water after class. Also, don't forget to eat. This morning before going, I didn't have a sufficient breakfast, and I paid for it during class and felt terrible and light headed. What "good" pre-class food is will vary for everyone, just don't show up stuffed, or on an empty stomach. Your first class anywhere I encourage you to come early because usually there's some paperwork to fill out, it's a good time to talk with the instructor if you have any concerns, injuries, or medical conditions they should be aware of. But with hot yoga there's an extra reason you should be early. You should try to go into the studio and acclimatize yourself to the heat for a little bit before you start asking your body to start moving. Go into the room, quietly lay out your mat, and sit or lie in a comfortable position until the class is ready to start. "Stay in your own lane"
Especially at hot yoga, you're going to see a variety of bodies, doing a variety of pose variations, wearing a variety of clothes (or lack there of). Try not to worry about it, and focus on what you need to be doing for your best class. A lot of people may be wearing shorts and sports bras. If you're not comfortable wearing that, then don't. Personally, I like wearing a tank top to wipe the sweat off my face without having to get out of a pose and reach for a towel. Stop and drink water whenever you need to. Take a break whenever you need to. Hot yoga is a challenging experience, so if you need to be in child's pose when everyone else is in down dog, do it. Remember, taking a modification or a break is much less "embarrassing" (ps. it's not embarrassing, it's smart, hence being in quotation marks), than passing out mid class (possibly embarrassing, but actually just dangerous, and now no one is having a good time). Have you tried hot yoga before? Did you love it or hate it? What is the one thing that you wish you would have known before trying it? Leave a comment below!